Much like solar and wind power, hydropower has been a constant energy source for man. Following is an overview of hydropower. Hydropower can be defined simply as using the energy of flowing water to generate power. With early man, this power was experienced in the form of propulsion as in moving wheels to grind food materials. With modern man, hydropower is used to turn turbines that produce electricity. In cases such as the Three Gorges Dam in China, this platform can be the basis of providing huge amounts of energy to countries in need. Over 2,000 years ago, hydropower was used by the Greeks to turn grinding wheels to turn wheat into flour. In the 1770s, French engineer Bernard Forest de Bélidor wrote Architecture Hydraulique, a four-volume series detailing mechanisms that could be used to convert flowing water into power. 1880 – Michigan’s Grand Rapids Electric Light and Power Company showcased the first commercial application for electricity generated from hydropower. The company used a turbine to provide power to a whopping 16 lamps at the Wolverine Chair Factory. 1881 – Niagara Falls votes to convert all lamps on streets to electricity provided by hydropower, which made sense considering their location. 1882 – The first power plant devoted entirely to hydropower electricity production goes online in Wisconsin. The power is produced from water in the Fox River. 1886 – Hydropower plants are so popular that over 40 are functioning in Canada and the U.S.
1889 – Only three years later, the number of hydropower plants in the two countries grows to 200. 1907 – Hydro plants produce 15 percent of the electrical power needs of the United States. 1920 – Hydro plants produce 25 percent of the electrical power needs of the United States. 1933 – Hydropower comes to the forefront with the establishment of the Tennessee Valley Authority. 1940 – Hydro plants provide a whopping forty percent of all electricity produced in the United States. 2003 – At the turn of the century, hydropower has lost much of its allure. Population growth results in power needs so high that hydropower is not viewed as a solution. Environmental issues also cause a slow down. Only ten percent of the electricity in the U.S. is produced by hydropower. Today, roughly twenty percent of all the electricity in the world is produced through hydroelectric power plants. The largest producer of electricity through water is Canada followed by the United States, Russia, Brazil and China. Egypt is highly dependent on this energy source via the Nasser Dam. Norway produces nearly all of its electricity needs through hydropower. In many other countries, it is also being looked to as the solution for growing energy needs. This energy source has definite downsides. It can be unreliable in countries that suffer droughts, as many African nations have learned. The environmental impact of large dams, as seen with the three gorges dam in China, is also a concern. Notwithstanding these concerns, it is a proven renewable energy platform that certainly is better than fossil fuel alternatives. Wind energy is one of the cleanest, if not cleanest, renewable energy sources available to us. What most people don’t know is it is also the fastest growing energy sector. Wind is an indirect version of solar power. Different surfaces on the Earth react differently to being hit by sunlight, particular in regards to heat. As sunlight heats up surfaces, they warm up at different rates. The surround air also warms up at different rates, fertilizing the wind process. Temperatures over a body of water like a lake will always be cooler than temperatures over rocky ground. Hot air rises and cool air rushes into fill such voids. As this process occurs, the rushing air manifests as wind and an incredibly cheap and clean energy source. The sole fact that there is enough power produced by wind energy to handle a city the size of Chicago is pretty impressive. As we move into the 21st century, new technology is heading in the direction of creating wind energy platforms for individual residences. Because of expanding worldwide vitality utilization and the likely consumption of the world’s non-sustainable power source, methods for investigating and utilizing elective vitality sources are being embraced. 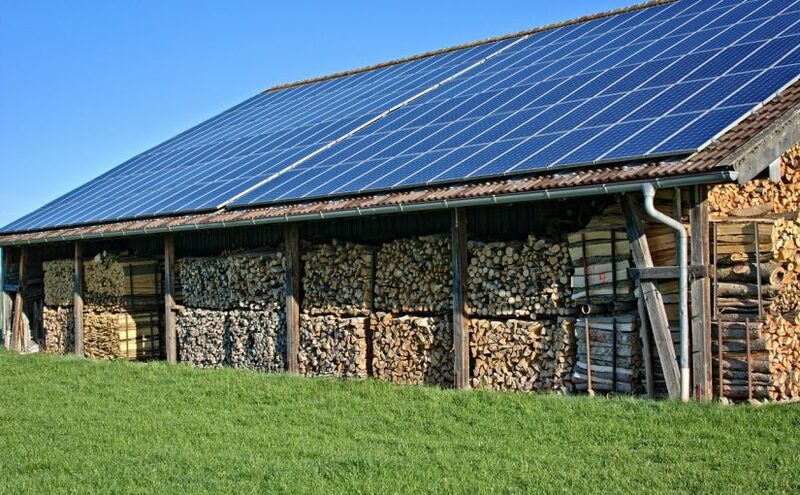 Utilizing alternative energy sources can be both advantageous and troublesome. Give us a chance to investigate the diverse advantages and disadvantages of elective vitality source. A noteworthy favorable position of sustainable power source is that it is inexhaustible in this way it is supportable and will never run out. All the more vitally sustainable power source delivers practically no waste items that may dirty or effectsly affects the earth. A few nations utilizing sustainable power source as another wellspring of vitality are additionally demonstrating some monetary advantages particularly in numerous local territories. The vast majority of their undertakings are found far from the urban focuses and capital urban communities. They could expand the utilization of neighborhood benefits and in addition tourism. General detriment of utilizing sustainable power source is that it is hard to produce expansive amounts of power like that of customary petroleum products. Another normal issue among elective vitality sources is the unwavering quality of the vitality supply. Since it is normally produced, sustainable power source supply depends on the climate condition. Another downside or weakness of elective vitality source is that it is moderately more costly to set up the hardware essential for creating the vitality. Here are the few favorable circumstances and weaknesses of alternative energy sources. Solar energy from the sun is an extraordinary wellspring of vitality since it is free and is productive. It is conceivable to augment the vitality given by the sun to supplant conventional power. In any case, there are constraints, similar to regions at high scope and spots with visit downpours are places not fit for delivering proficient sun based vitality. Wind energy is additionally an effective power source. It is conceivable that breeze vitality can supplant up to 20 percent of the aggregate electric utilization later on. Area is a vital factor in utilizing wind vitality, high scopes and drift lines are great spots to set up windmills. A generally enormous land zone is likewise expected to set up adequate number of windmills. Hydroelectric and tidal vitality both of these vitality originate from water. With hydroelectric vitality it is fundamentally sourced from dams. Tidal vitality, then again, utilizes the characteristic tides of the sea. Generation of vitality from water is another perfect method for creating vitality. However there are a few detriments. Setting up stream dams as wellsprings of hydroelectric vitality is extremely costly. 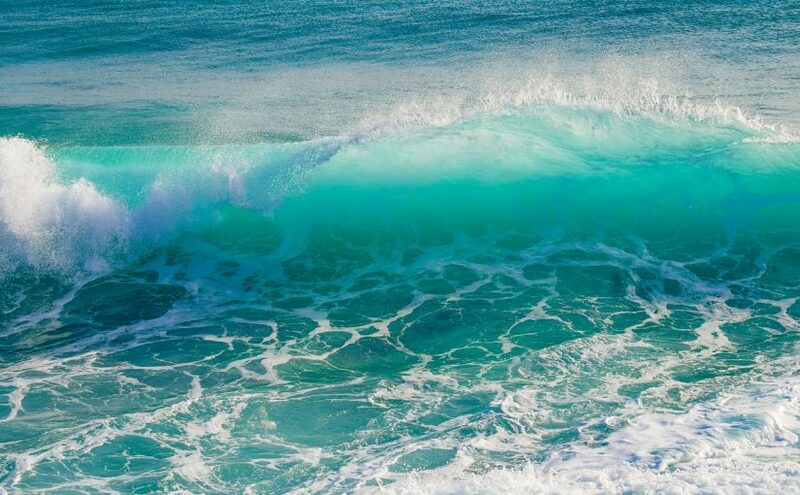 Although, tidal vitality source depends much on the sea. Since seas keeps an eye on flighty there are just 9 places worldwide that are appropriate for this sort of vitality source. Furthermore, tidal vitality control plants are likewise said to give negative consequences for the transient winged animals and the fishes. Biomass-biomass comprises of matured creature squander, horticultural yields, grains and other normal items. It can be utilized to create a liquor and furthermore supplant fuel needs. It boosts squander materials as an elective vitality source. A downside, it that despite everything it produces ozone harming substance. The US is not a leading user of solar power for a very obvious reason: they can still afford to buy fossil fuels from the international market. In other countries the oil prices are ten times higher in the US and sometimes going for the alternative is a lot better in the long run. Today, more and more countries are looking at solar energy as a primary source of power. There are several countries which can be considered as at the helm of solar energy technology. Solar power is the power extracted from the sun’s energy, which is the sunlight. As the sun provides us sunlight for free, solar power itself too is a renewable, clean and environment friendly source of energy. With rising concerns about depleting fossil fuels and rise in air pollution, the use of solar power as an alternative source of energy is fast gaining popularity. By harnessing and using solar power at home, it is possible to cut down the cost of power bills and extensive use can even make one totally independent in terms of power requirement. This is mainly because sunlight is available for free almost round the year and the best part is that solar panels and other such solar equipments require little maintenance. The number one use of solar energy is Germany. It captures almost 50% of the world market of photovoltaic cells. Nowhere else in the world can you find the most number of households with solarpanels installed on their roof tops. Germany has this Renewable Energies Laws (EEG) which passed in 2000. The law certainly helped Germans feel the need to go renewable. According to statistics, Germans invested nearly US$5 billion in solar photovoltaic systems and have contributed considerable in the growth of the solar energy market. 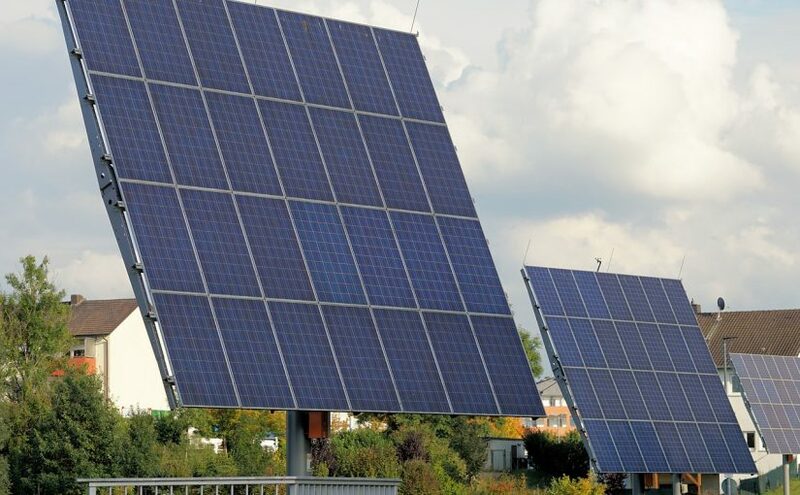 Although most of the things that we see are solar panels, it doesn’t mean that Germany’s solar industry is not limited to the production of photovoltaic cells for electricity. Other notable usage in Germany includes solar panels for home water heating system. Some news indicate that the German solar hot water market earns fU.S.$1.5 billion per year. The “solar park” in Arnstein, Bavaria, Germany is one of the biggest photovoltaic plants in the world. It became operational in 2006 and with more than 1,400 PV solar panels, it can produce 12 megawatts of energy. But now, one million dollar question arises- that is why, in spite of so many benefits, are people using solarpower only sparingly? The answer to this question lies in the fact that the solar powers are largely inefficient. To counter this problem, bigger panels have to be installed and this makes using them cumbersome. Also, some people prefer not to mess with the aesthetic beauty of their houses. Also, the solar panels do not come very cheaply. Moreover, there is the inherent problem of unable to work at night and providing very little power during cloudy days. Following Germany, the next biggest country in terms of usage of solar energy is Spain. The solar energy usage in the country, more specifically the photovoltaic cells usage, has a world market share of 27%. Spain has no sign of slowing down its aggressive and pro-active approach in solar energy. Solar fields are being constructed one of the latest ones is the 60 MW solar field in Olmedilla de Alarcón, near Cuenca. The rest of the world will soon follow Germany and Spain. Japan and the US still have a market share in the photovoltaic world market. The two countries both have an 8% market share, a far cry from Germany and Spain. Nevertheless, it is quite important that countries continue to improve their status in the world solarmarket. In today’s world, a very popular alternative energy source is solar power. Sunlight can be converted into energy with the use of solar power systems. The ways to generate energy vary and different methods are being followed to meet the needs of people everyday. Can you imagine living one day without electricity? That’ll be very hard and unpleasant. In the past couple of years, people have talked about solar power and you can see a wealth of information online. The reasons why people became suddenly interested in solar energy is because of the ever increasing electric bills, depletion of fossil fuel reserves, and the environmental problems (i.e. global warming, the hole in the ozone layer, etc.). Solar energy is an important advance in the effort to save the environment. Perhaps the most easily usable and most convenient of the renewable energy sources (which also include wind and water), solarenergy has been used since the beginning of time as a heating source. In the 1830’s one of the other solarenergy platforms was developed, as a solar energy cooker was used on a safari. Since then, many other solar energy applications have been formulated, and almost everyone can take advantage of one of these. One of the most common of the solar energy application is to use it as a power source. Since the 1970’s, many people have been putting solar collectors on their roofs and using the resulting collected power to run their households. While having enough solar collectors to obtain power that will run an entire house may not be common, it is becoming more so. Most of these types of solar powered homes run their appliances and other needs directly off the solar collectors’ power during the day, and use power that was stored from the solar cells in batteries at night. In this way, the homeowner can avoid ever having to use power that was generated by a non-renewable resource. Another of the common solar energy applications is to use solar power to heat your hot water. These systems can either use passive solar energy (in the case of heating a tank of water by leaving it out in the sun) or by using solar collectors with a heat transfer fluid. These systems require the homeowner to install solar panels, behind which run tubes filled with fluid. These tubes collect the heat from the sun and transfer it into the fluid. These tubes, filled with the heated fluid, then run around a water storage system. Then, the heat from the fluid is transferred into the water. Another way is to have water running through the tubing and have it obtain the sun’s heat directly. This heated water is then pumped into swimming pools, so that pool owners don’t need to run a pool heater to keep their water warm. Solar power has many uses and it is not just limited for home or office use. Discover other ways to use solar power. Use it now to help address the three concerns mentioned earlier. Does your Florida business feature non-stop electricity signs signaling your location to passersby? Do you have computers, routers and/or servers running even when you’re not in office? How about delicate machinery that can’t be completely turned off every time working hours are done? If any of these are affirmative, there’s a good chance you experienced electricity bill-induced shock and wished you could find an alternative energy source. Consumer-run sources of alternative energy do exist, but you probably won’t be surprised to hear they’re never as effective as getting your power from a dedicated plant. Still, if you’re tired of paying Uncle Sam through a hose for something many feel should be free, there are ways to reduce the bills your business creates. If you live in any part in the U.S. and dream of year-long summer, chances are you’ve considered moving to Florida. The short-sleeved Christmases are well-known, and there’s no shortage of sunny weather to go around. This makes it an ideal environment for self-sustainable power-generating efforts by means of solar panels. While these are great, they require a constant stream of the Sun’s rays in order to pay themselves off – fortunately, Florida has plenty. It also helps that most parts of Florida are affluent, as solar panels can be quite costly to install. The cost of solar panels is directly related to how much power you plan on getting from them. More panels means more free energy, and it also goes without saying that better(and more expensive) solar panels will gather warmth more effectively. If you’d like alternative power for your Florida business, solar panels are a safe first pick. On the other hand, solar technology is progressing fairly rapidly – in a couple of years, new solar panels might work much better than current ones and could cost less, although there’s no guarantee of this. They say the time is now, and the sooner you start, the more money you’ll save – advancements or not, buying your own solar panels is always going to be an expensive venture. 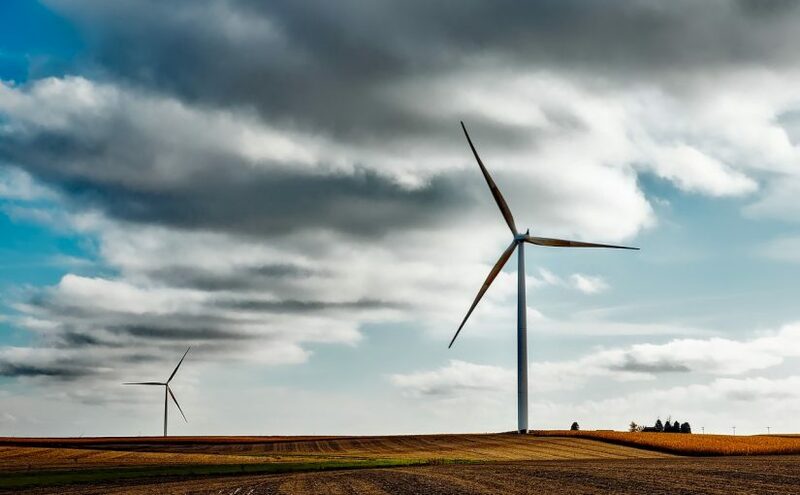 Wind is another source of alternative energy, although not quite as efficient – in Florida, there’s quite a bit more Sun than there is wind, especially the strong kind needed to power parts of a person’s business. Furthermore, actually being able to convert wind in a non-trivial way requires a powerful turbine that can cost more than most business owners are willing to spend on green energy. Unless you’re in a strange spot that’s constantly windy, buying a turbine for wind power in Florida probably isn’t going to pay off. There are other ways of generating electricity, although they require a lot more processing and are rarely suitable to produce the kind of dependability a business needs. In short, your best bet is to stay on the lookout for good deals on affordable second-hand solar panels or even turbines – snatching one from someone who no longer wants it is the best way to save money and get some clean energy in the future. As we go about our lives using various appliances that run on electricity, we rarely give much thought to where all that power comes from. Harnessing energy and turning it into electricity that the average household can use as-needed takes a sizeable infrastructure and quite a bit of work. There are many different methods of accomplishing this, each with various levels of efficiency. Some work best when combined with others while others yet are enough on their own. Here are four of the most common types of power for homes, sorted based on cost-efficiency and/or amount of energy. Coal: If your home has electricity, there’s a good chance that a large chunk of it comes from coal. This fact isn’t commonly known, as many people associate coal with old-fashioned and out-of-style forms of heating. In truth, coal remains one of the cheapest, safest and most effective ways of creating electricity. The biggest risk associated with coal-based power comes during the mining period, as mines can sometimes collapse or trap miners for lengthy periods of time. Once it’s out, though, processing coal is fairly safe and inexpensive with the appropriate power plant. In fact, it’s a safe guess that your home might use up several thousands of pounds of coal every year just for electrical energy as the material is abundant and not too hard to come by. Nuclear: Coal’s biggest rival in terms of efficiency is nuclear power, more specifically uranium. The process of converting nuclear power to electricity isn’t too dissimilar from the coal-based method, although there are more risks involved and governments as well as the general public are still reluctant to rely on nuclear power too much. After uranium is mined, it goes through a lengthy processing period that makes it usable for electrical distributions. Among the chief issues with nuclear power is the possibility of a devastating power plant meltdown – there’s a series of spooky video games called S.T.A.L.K.E.R. that are based on the „What if?“ of such a scenario and will make anyone reconsider using nuclear energy. Still, many nations already make heavy use of it and U.S. nuclear plants are some of the safest out there – eventually, nuclear energy is bound to become more widespread. 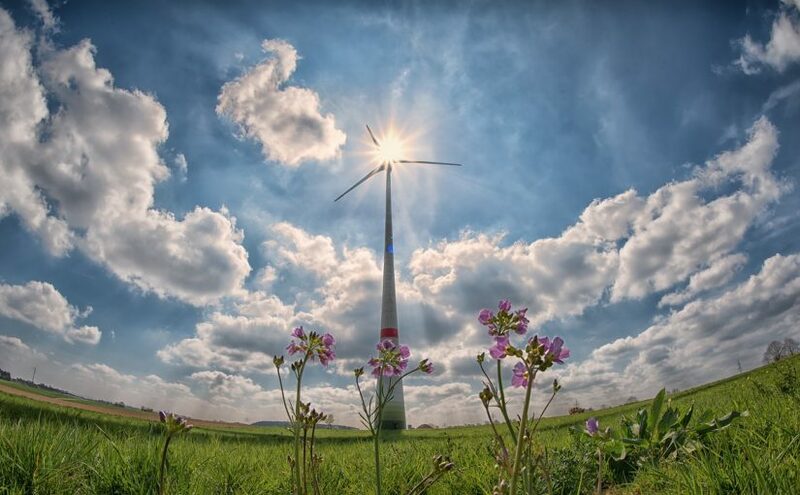 Wind: One of the oldest ways of generating power wherever possible, wind energy is harnessed by sophisticated turbines that translate it to electricity. The ‘windmills’ of present day are a far cry from the simple mechanisms of grassy Dutch plains and require tens of millions of dollars of investment on average to get a single field running, not to mention the low dependability of wind as a power source. Solar: Many have been enamored with solar energy for a while now due to how ecological it is – the Sun has more than enough energy to spare, and finding a way to use the abundant power source for our benefit(past absorbing it through our skin) is in everyone’s best interest. As it stands now, though, solar power technology isn’t quite there yet and could take up to several more decades before it can start replacing standard ways of powering urban and rural areas. Considering how expensive they are to install, solar panels almost act as a status symbol that shows others you have money to spare. As power sources, though, they’re not really sufficient to replace energy that comes from plants just yet, and probably won’t be for a while to come. Despite this, solar technology is definitely increasing in popularity and there are more and more people installing these panels on their homes and office buildings every year. Do these individuals know what they’re doing or are they simply victims of the latest fad? Let’s get one thing out of the way: if you’re installing solar panels, you’re probably willing to sacrifice a bit of your money to help the environment. Currently, one of the biggest selling points of solar panels is how ‘green’ they are – they don’t pollute the Earth, don’t put others in danger in order to get power and so forth. Because of these factors, governments around the world are making strides towards adopting green energy through solar technology and are slowly trying to replace old ways of generating energy. But how effective are they for consumers? Aside from looking good on your home, solar panels are sure to give you a bit of free energy, especially over the long run. You heard that right – energy coming from the Sun is free and abundant, and you could say it goes to waste whenever it’s not being absorbed by something (humans, animals, vegetation or technology). There’s just one small problem (okay, not so small) – the means of converting solar energy to electricity aren’t nearly as efficient as we’d like them to be. If you’re approaching things from a pragmatic standpoint, there’s a good chance that your solar panels aren’t going to pay themselves off anytime soon – setting that money aside for electricity bills, will probably turn out more profitable, especially in the short term. However, there’s another way of looking at things. Solar panels are a great investment for the future, both on a global level and on a personal one. The positive effect on the planet is clear, however small it might be: you’ll contribute less to the expenditure of non-renewable energy sources like coal or uranium, the processing of which can be hazardous both to the environment and to humans. On a personal level, solar panels will pay off more with each passing year. They are self-sustaining and don’t exactly have a habit of breaking down, meaning you could help several future generations of your family save some money on bills. If you own a family home you intend to pass along to your children and grandchildren, solar panels are no doubt a great addition to it. Not to mention, investing in solar panels is a great way to ensure you won’t end up spending the money on a trivial purchase in the near future. Keep one thing in mind, though: even the best consumer-grade solar panels can only cover a fraction of your energy needs, and you’ll have to keep using standard electricity methods for the rest. Posted on December 7, 2015 Leave a comment on Are solar panels worth the cost? Getting the energy and alternative power blog going this month.